What a sight it was when 10-year-old Krithi Dinakar Munagala and her year-and-a-half-old dog, Sushi, came for their reading at the Hyderabad Literary Festival (HLF), which was held from January 25 to 27! 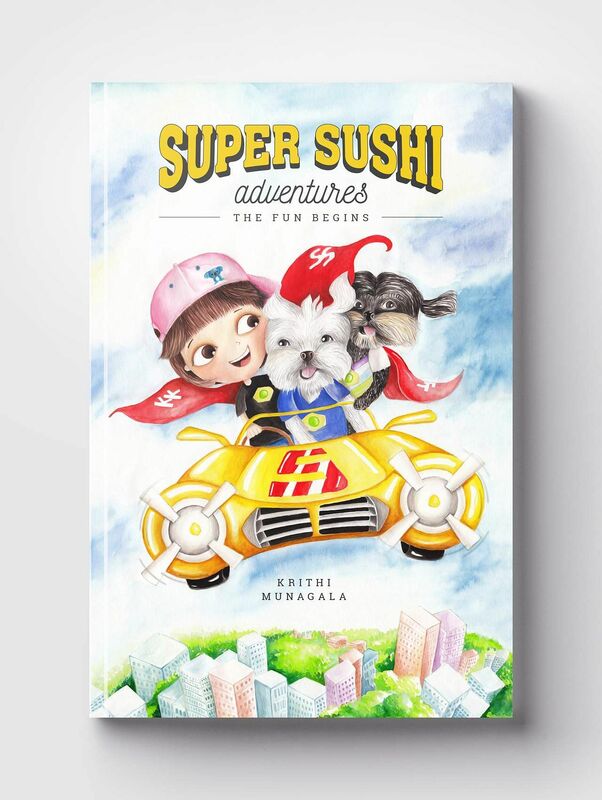 While Krithi was there to read and discuss her book Super Sushi Adventures (“It was my first reading!” she confessed excitedly), Sushi, with his unlimited supply of licks and hugs, received a lot of love as well. So, what triggered this Sacramento-born kid, who loves to read and loves to write even more, to write her very first book? It was when Sushi, her bundle of joy, arrived and he instantly became her muse and so did her neighbour’s dog, Trixie. “Sushi spreads joy wherever he goes and makes everyone happy. He is very special to me and I just had to write a story about us,” says the young author. But when she wrote the story, she did not intend for it to become a book. It was her parents who saw potential in it and decided to get it published with the help of two of their friends who provided the illustrations for the book. In the story, the trio are superheroes — Krithi can run super fast, Sushi can see everything, no matter how small, and Trixie has a great sense of hearing. They can fly and the dogs can talk. They travel the world fighting crime and creating teams of superheroes wherever they go. “Saving people is hard to do by ourselves, so we create these teams everywhere,” she says. No, this isn’t just some childish fantasy. There is an important message behind this story — No matter how small you are, if you’re united, you can save the day. And Krithi didn’t write purely from imagination. The teams that the trio create in the book are in places like Europe and Japan and Krithi read up on both places as part of her research and finished the story in three months. Talking about the illustrations, she says, “I drew pictures and the illustrators got an idea of what I was imagining, so they used my drawings for the illustrations,” says the student of International School of Hyderabad. Speaking about her muse Sushi, Krithi says, “Sushi is very playful and forgiving. He forgives you quickly if you get angry with him,” she says fondly. Her love for animals runs deeper than this, so much so that when she grows up, Krithi aspires to be an animal rights lawyer. “I want to be their voice,” she says. 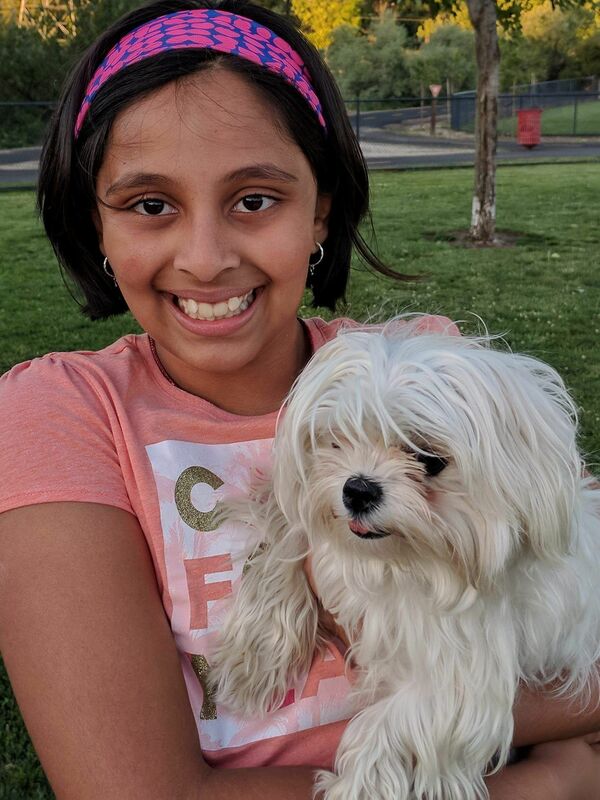 Krithi is already doing her bit for her furry friends as the money from her book directly benefits a few welfare organisations, including Blue Cross in Hyderabad, where she is the youngest volunteer. She also loves swimming, playing tennis and is currently learning to play the piano. While her second book is being edited as we speak, she is now working on her third book, which will be a continuation of the series.